The Mihrimah Sultan Mosque is one of Üsküdar's best-known landmarks and takes its nicknames from the ferry landing near which it stands. It is the first of two mosques built by Mihrimah Sultan, daughter of Sultan Suleiman the Magnificent and wife of Grand Vizier Rüstem Pasha. It was designed by Mimar Sinan and built between 1546 and 1548. 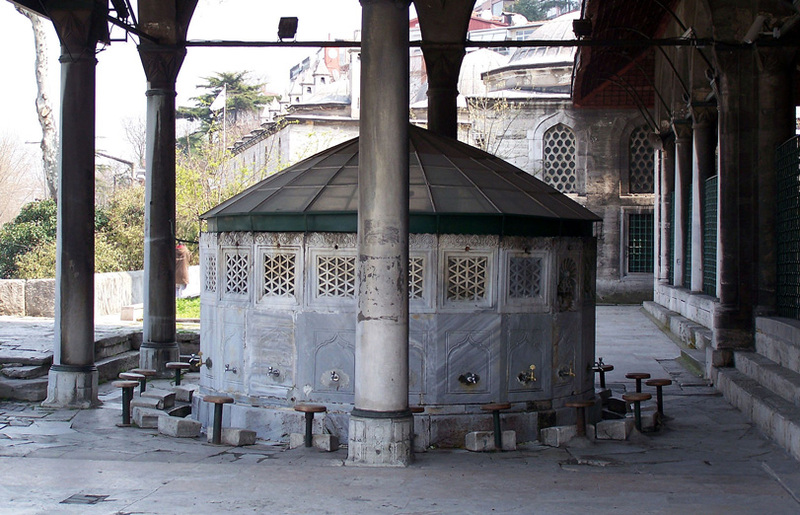 It is a massive structure on a raised platform and already shows several hallmarks of Sinan's mature style: a spacious, high-vaulted basement, slender minarets, a single-domed baldacchino flanked by three semi-domes ending in three exedrae and a broad double portico. Mihr-î-Mah means Sun and Moon.